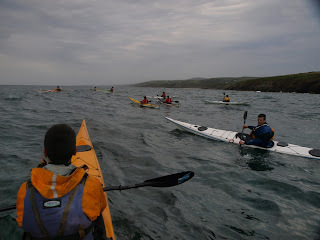 It was really pleasant to see many of the regular Club paddlers of different abilities, out together. 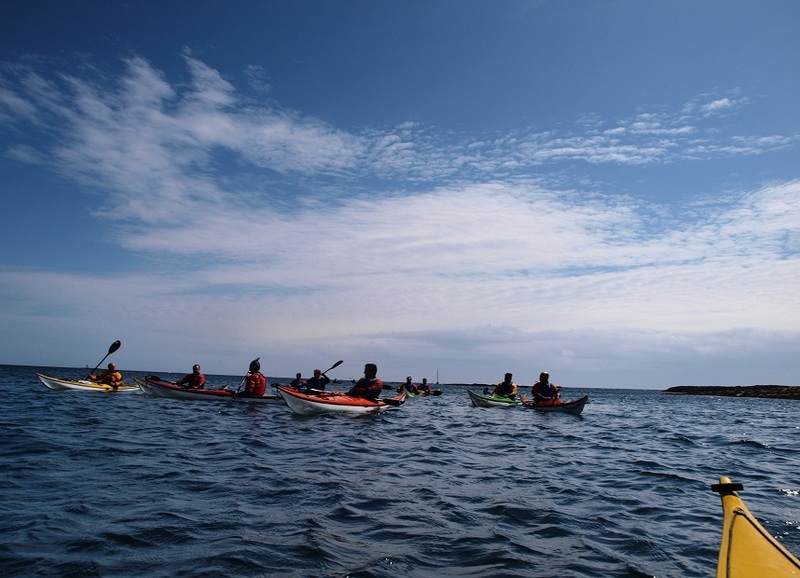 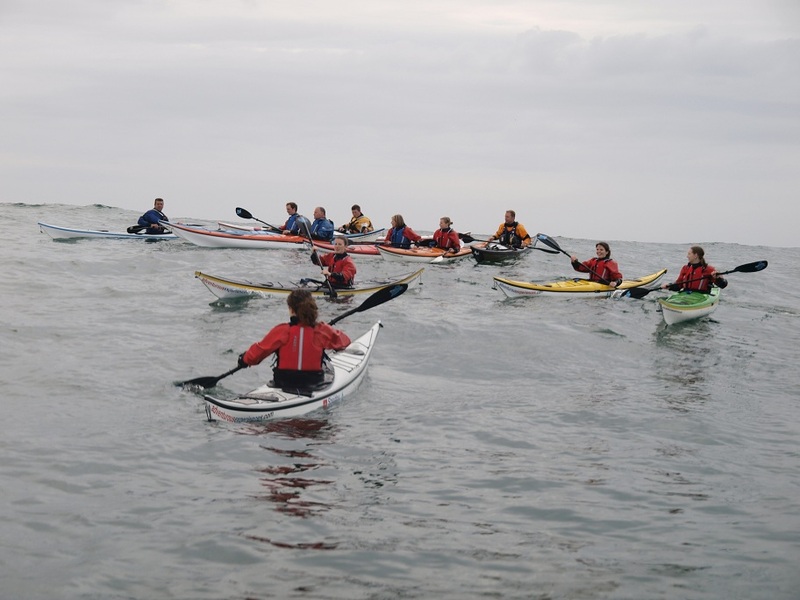 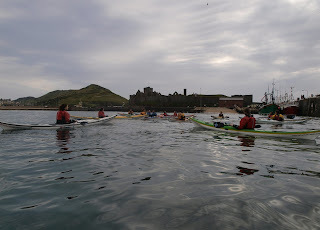 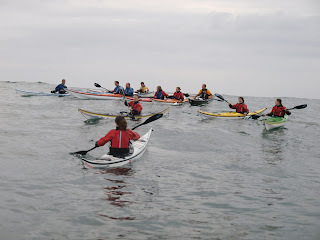 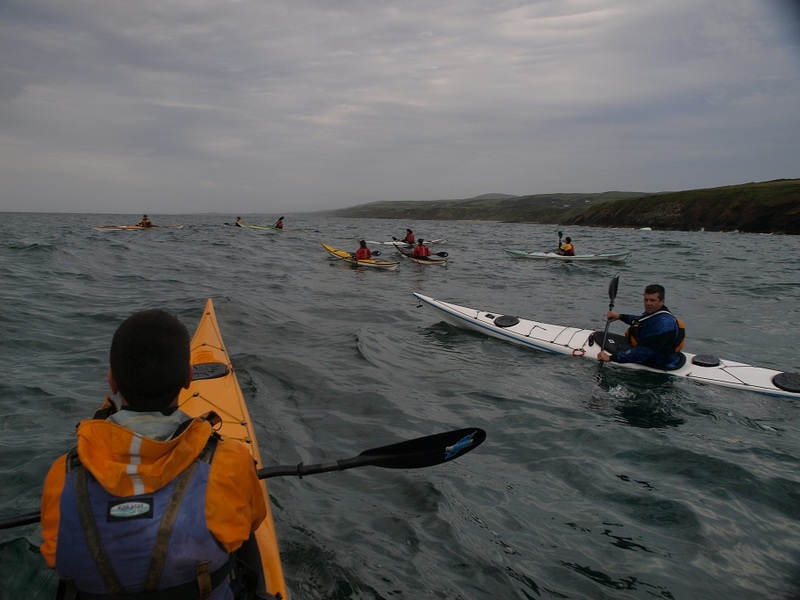 Saturday's Evening Paddle was from Peel, the residual swell with absolutely no wind in the bay gave added excitement to the sea kayak session, consisting of mostly absolute beginners and novice paddlers. 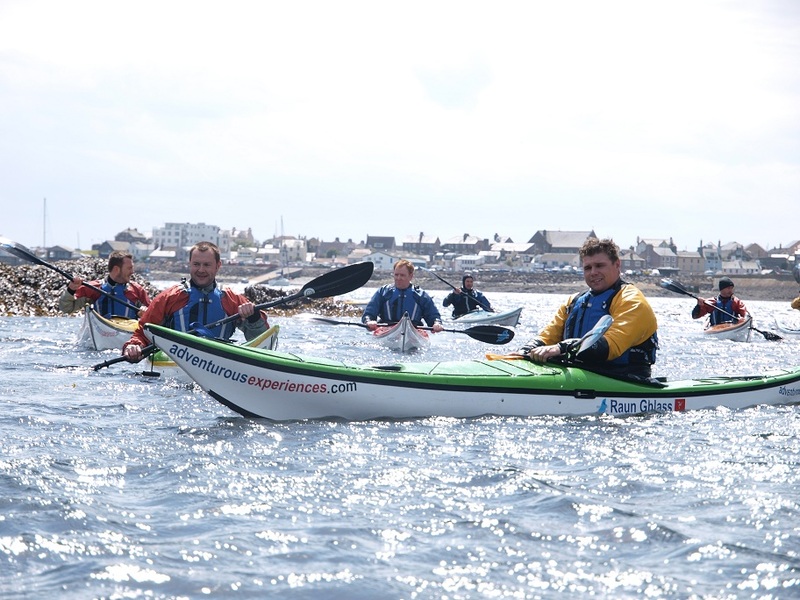 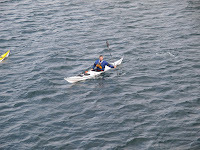 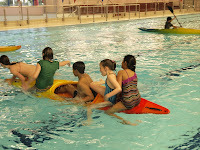 I can see a few folk from this session joining the Adventure Club and paddling regularly with us. 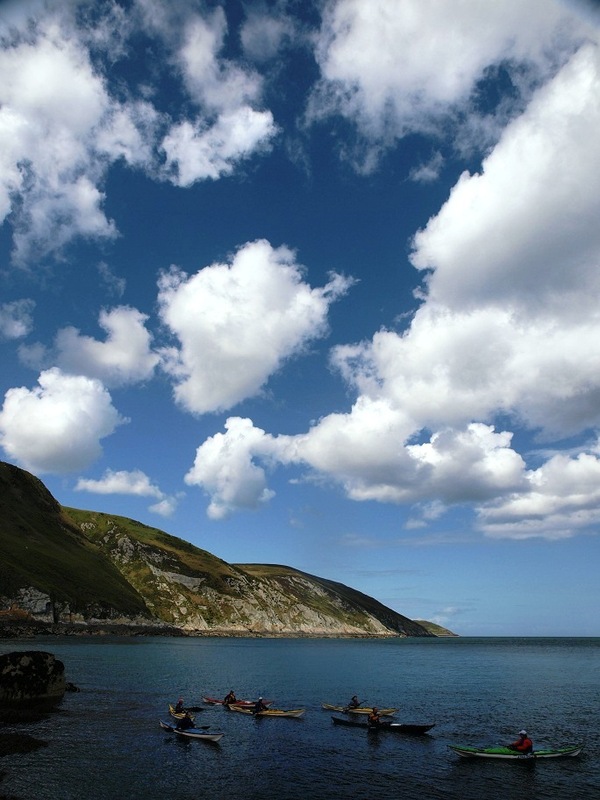 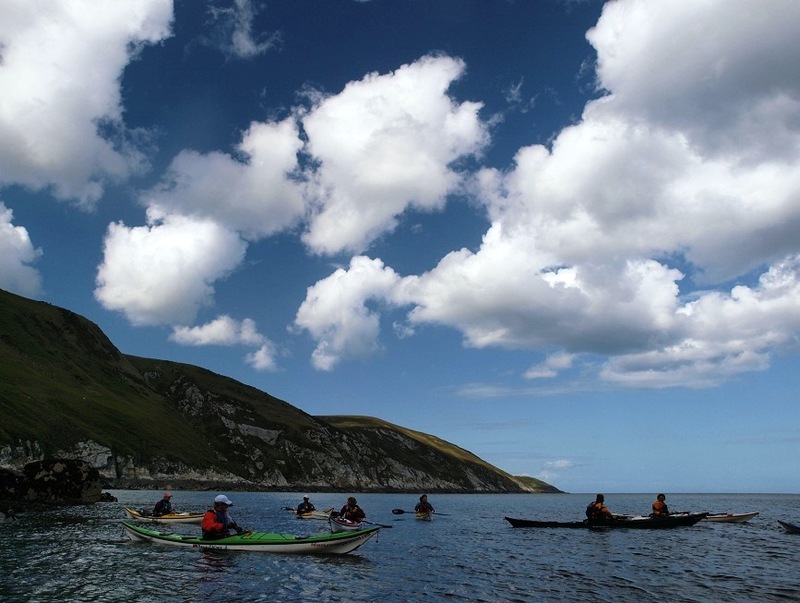 With more Basking Shark sightings off Port Erin and Niarbyl on Saturday, we're running more sea kayak trips over the TT period. 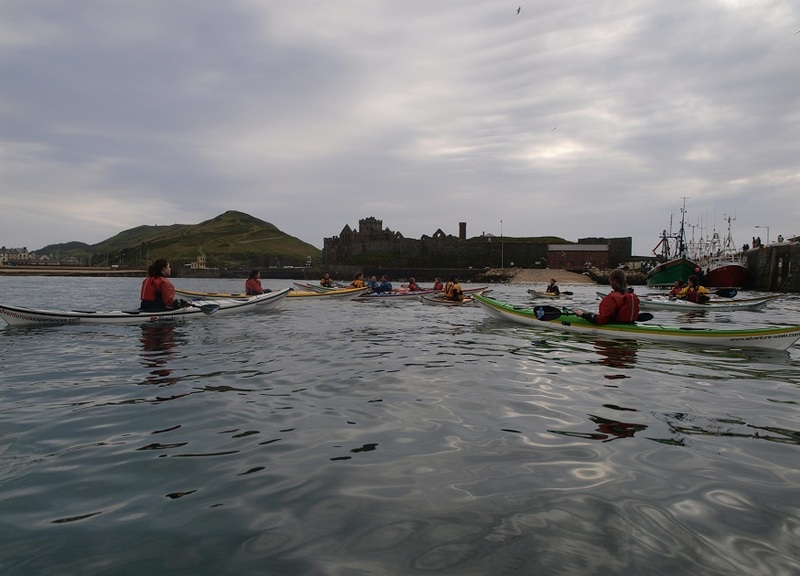 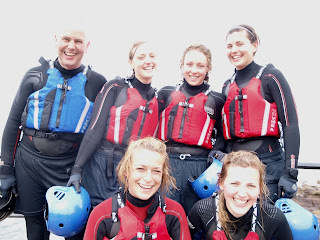 Next Evening Paddle with places available this Friday 6pm, and it looks like a cracking forecast too! 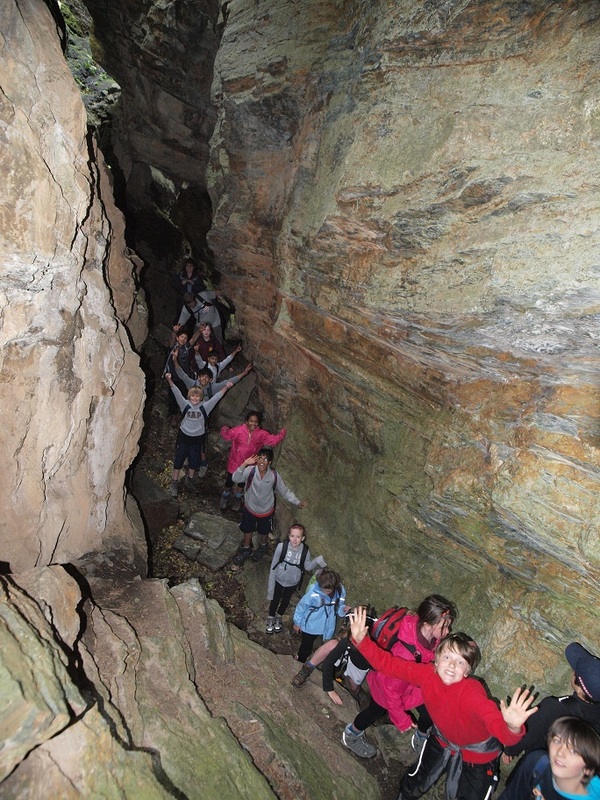 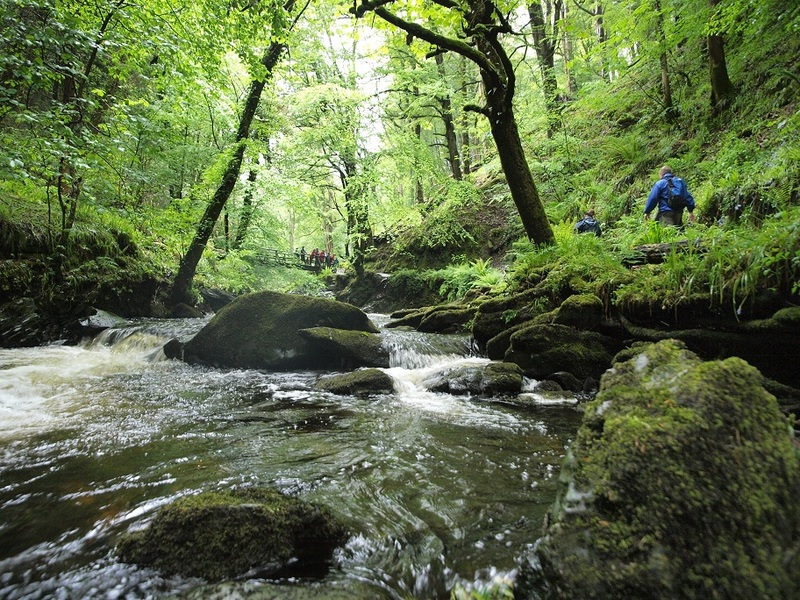 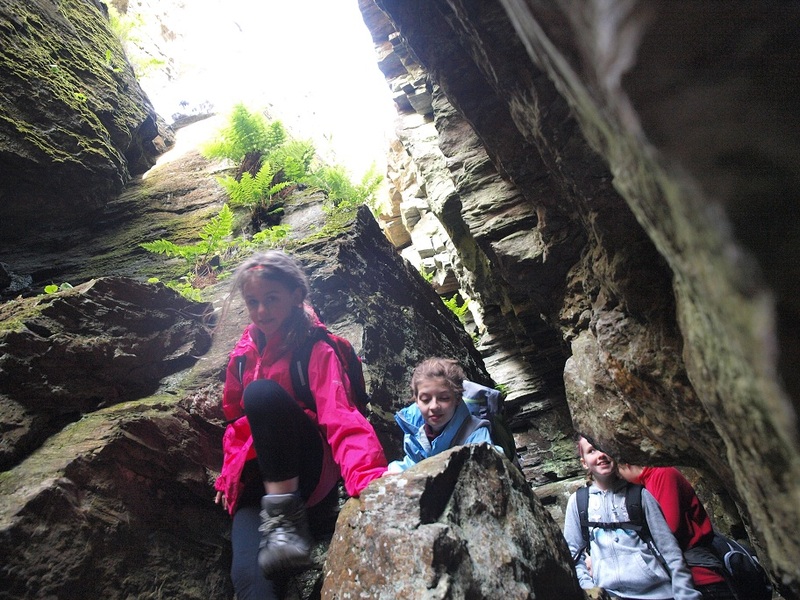 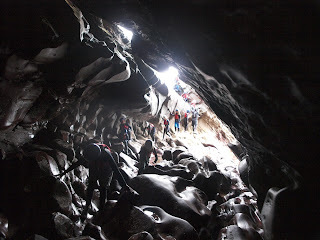 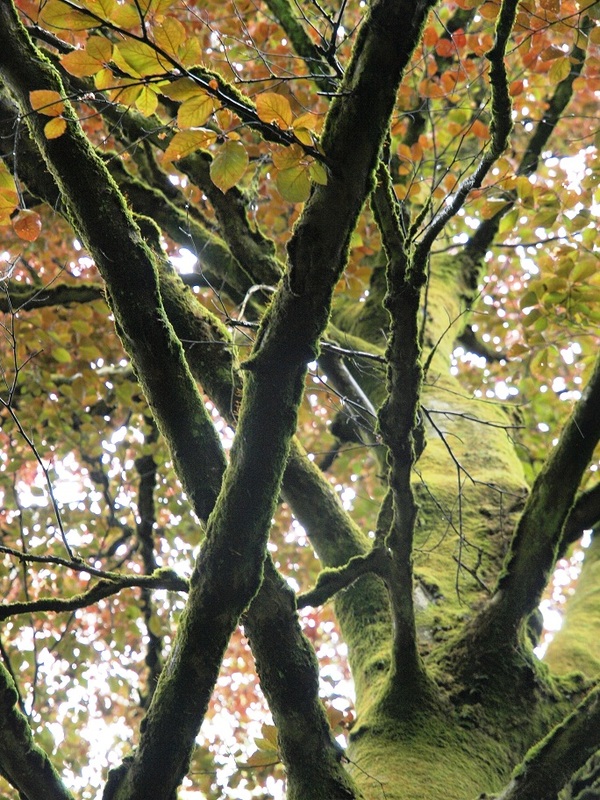 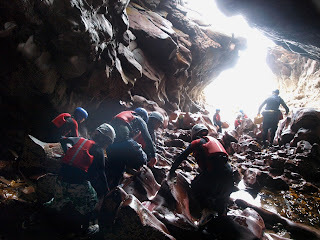 A challenging route to suit the group's ability and desire! 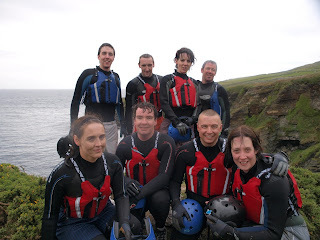 This mornings Coasteering session ran on the South Coast of the Isle of Man, with a little bit of swell running. 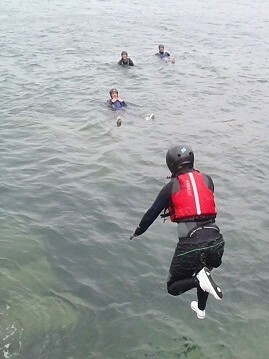 Nice clean jumps and great fun timing the landings with the wave sets. 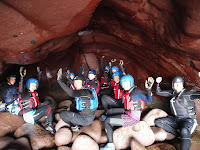 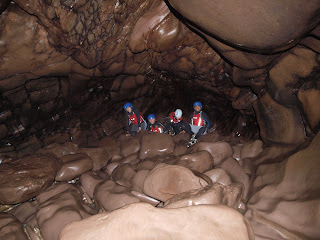 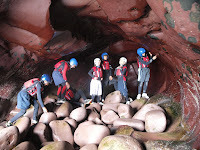 This group are now booking the extended route - a 4 hour session with some commitment, rewarded by stunning caves and immense scenery! 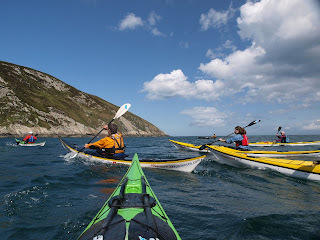 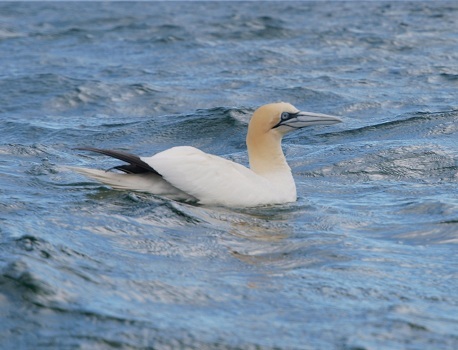 Some pics from the Sea Kayaking session this afternoon. 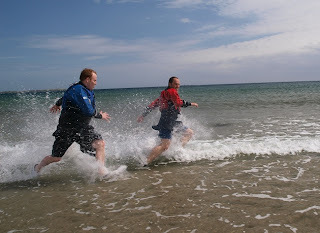 ...and the stag could run quickly when necessary! 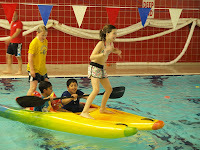 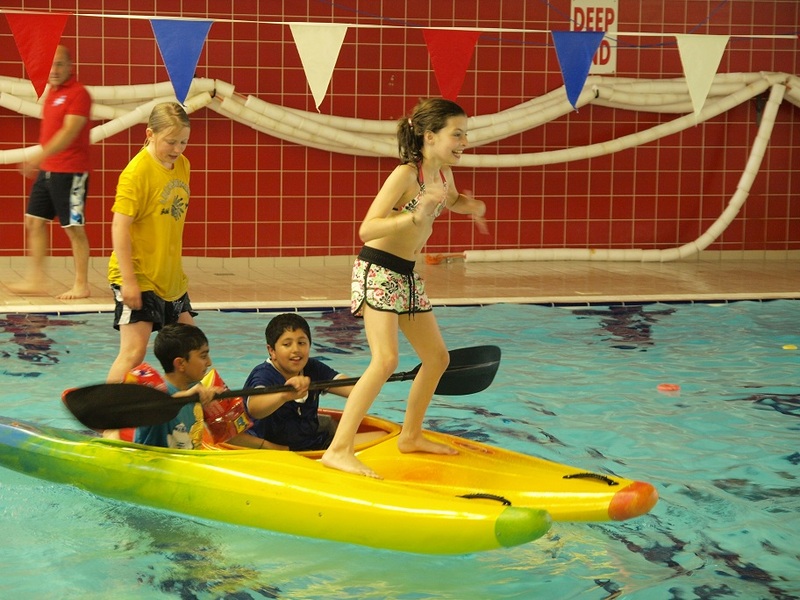 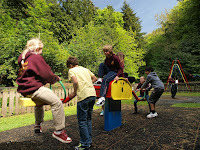 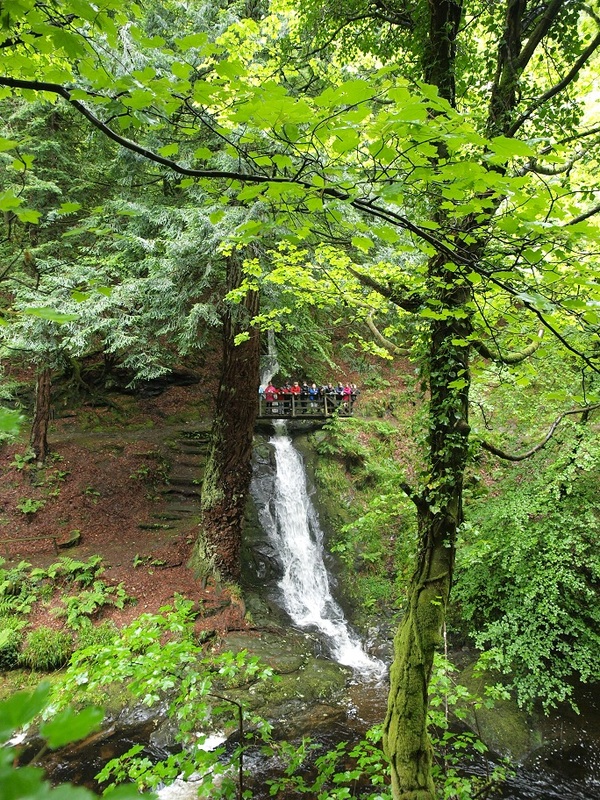 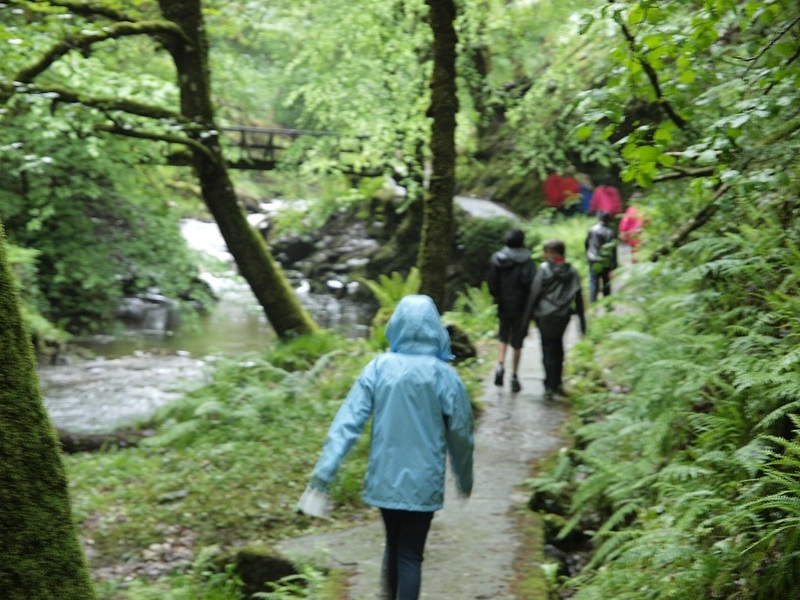 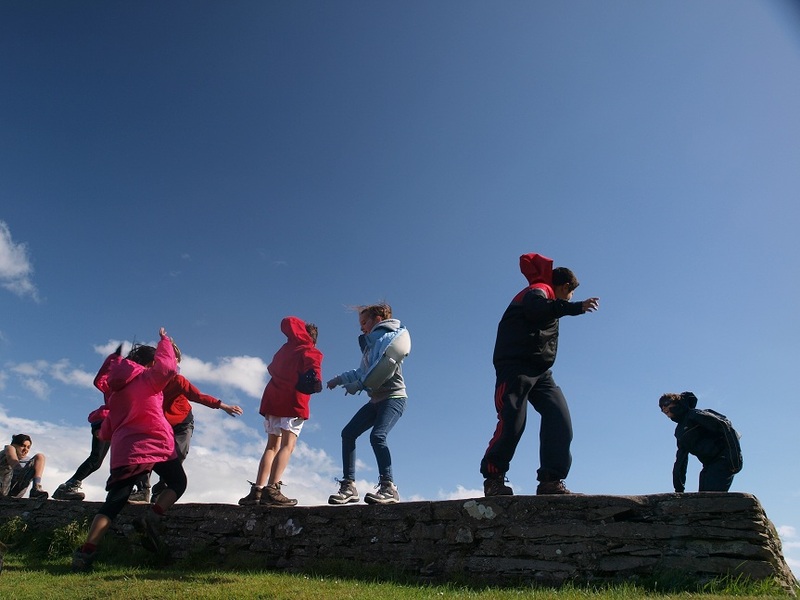 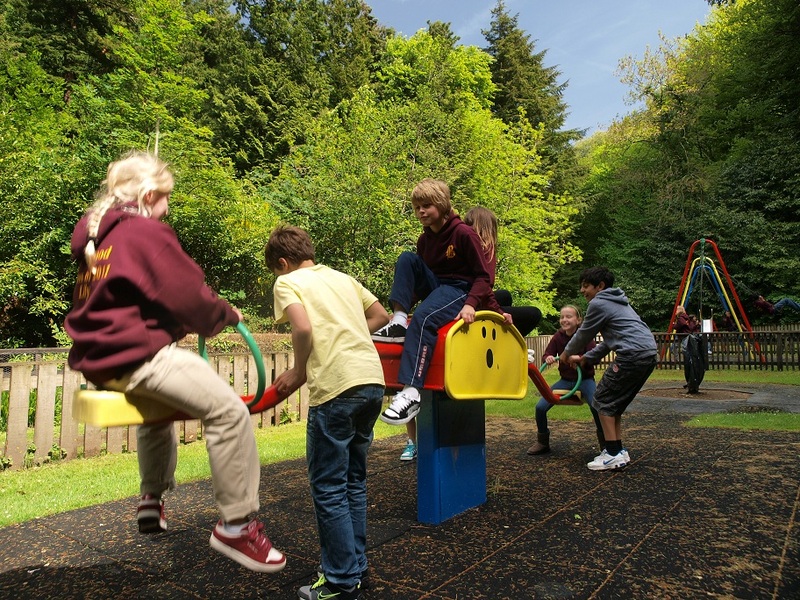 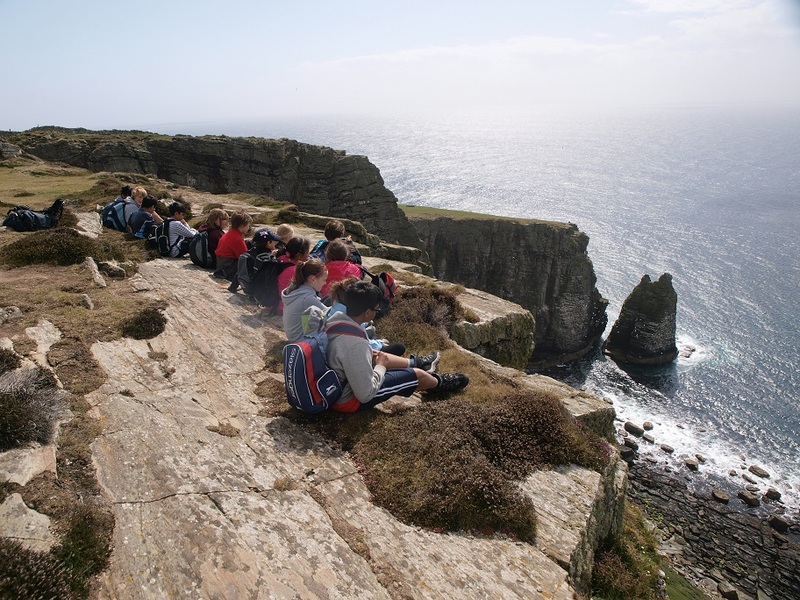 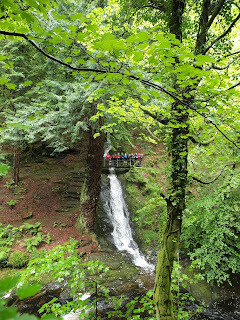 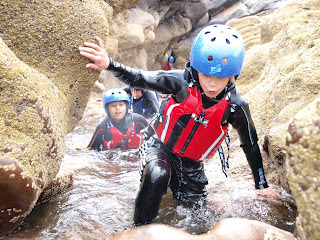 UK School - bespoke activity week! strong winds all week made for flexible plans - we had such a laugh! 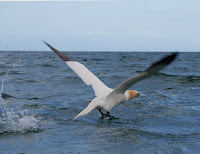 Have a safe flight home, and great weekend! 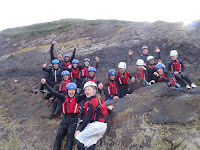 The whole week has been fantastic and I would personally like to thank you and your team for making it such a memorable experience. 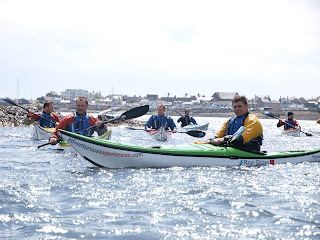 I will confirm the 2012 dates with Kay early next week. 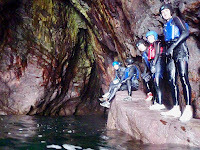 Once again, many thanks for a brilliant week, speak soon, kind regards Mark. PS: please thank Kim and George for their help. 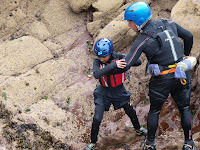 Aman was talking all the way back about how George had helped him conquer his fear of water; he has really come back a new boy, so please pass that message on to George. 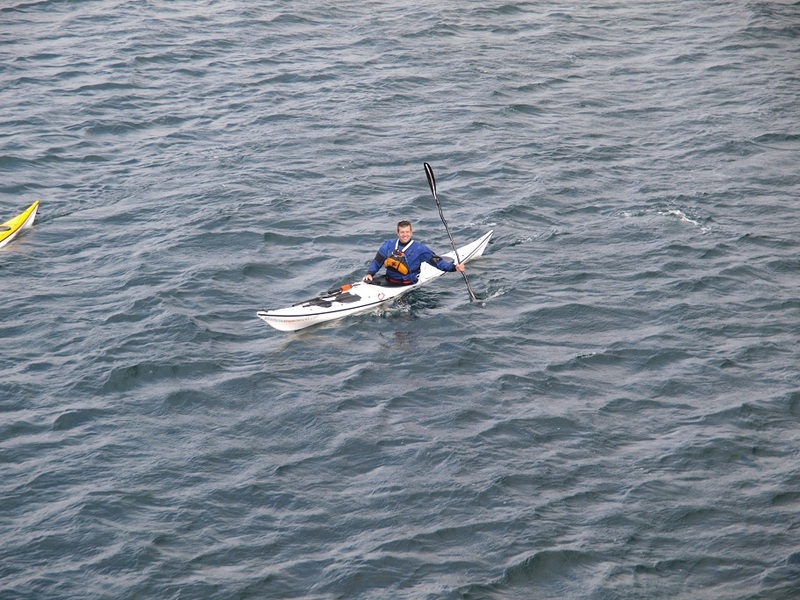 Cheers, Mark. 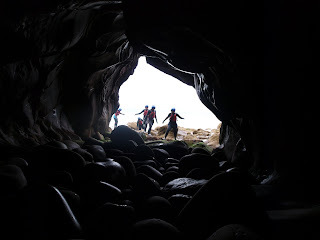 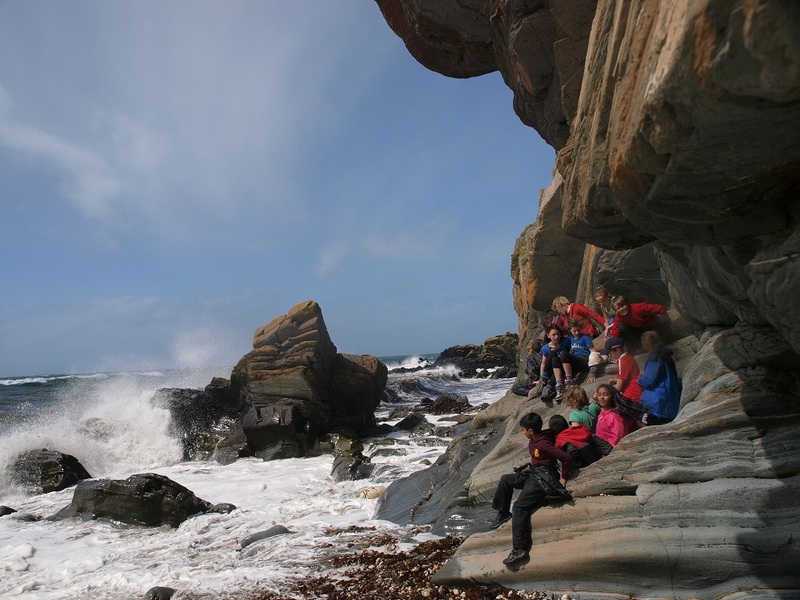 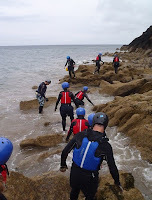 ... exploring the intertidal zone along the Isle of Man coastline. 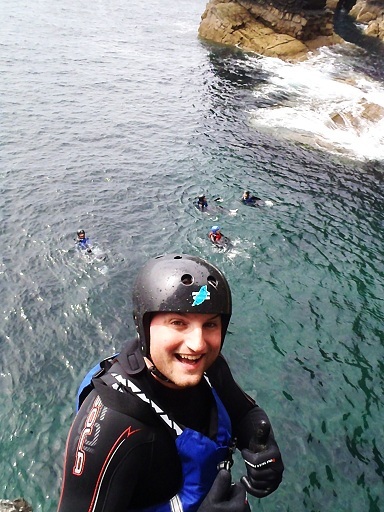 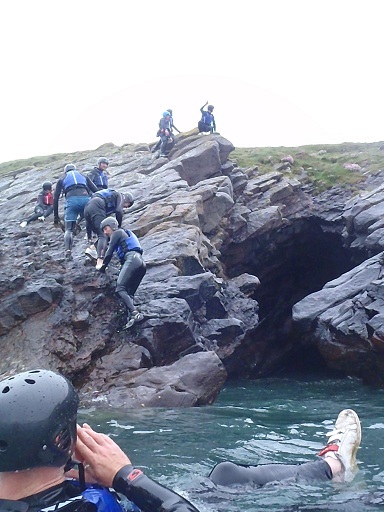 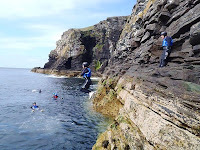 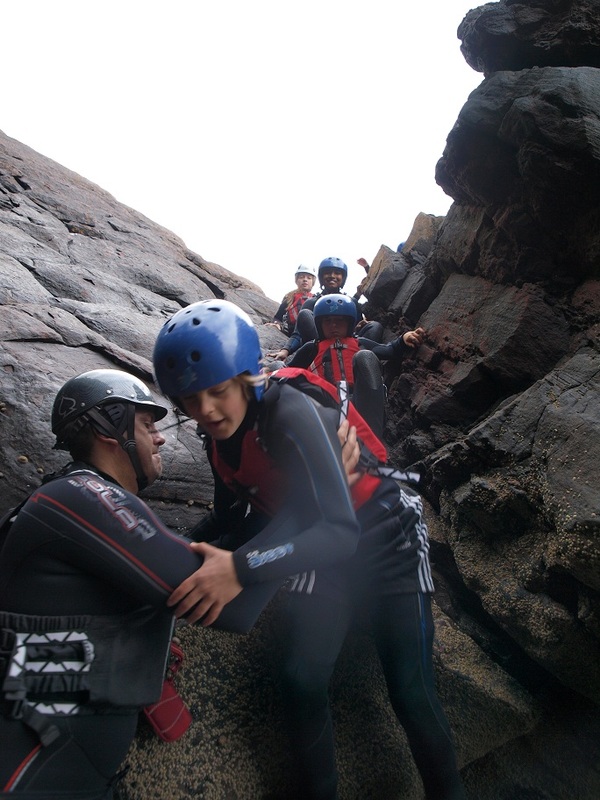 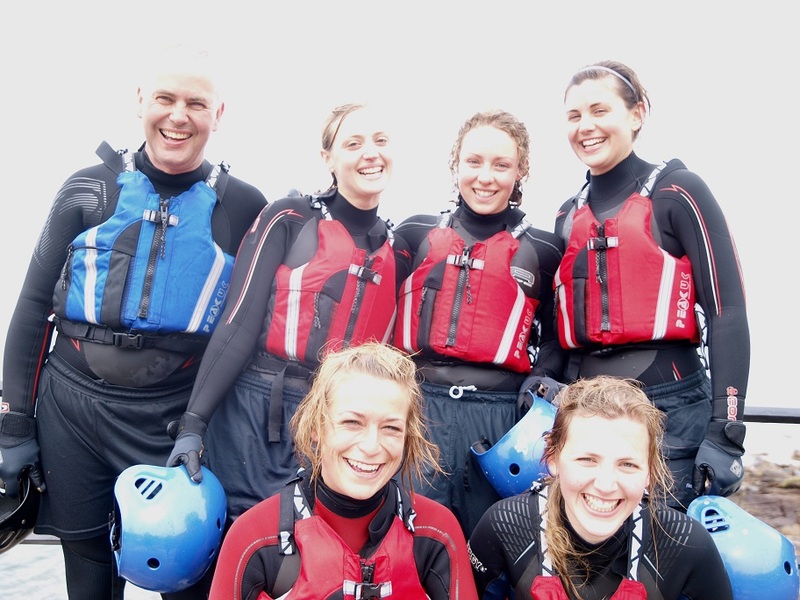 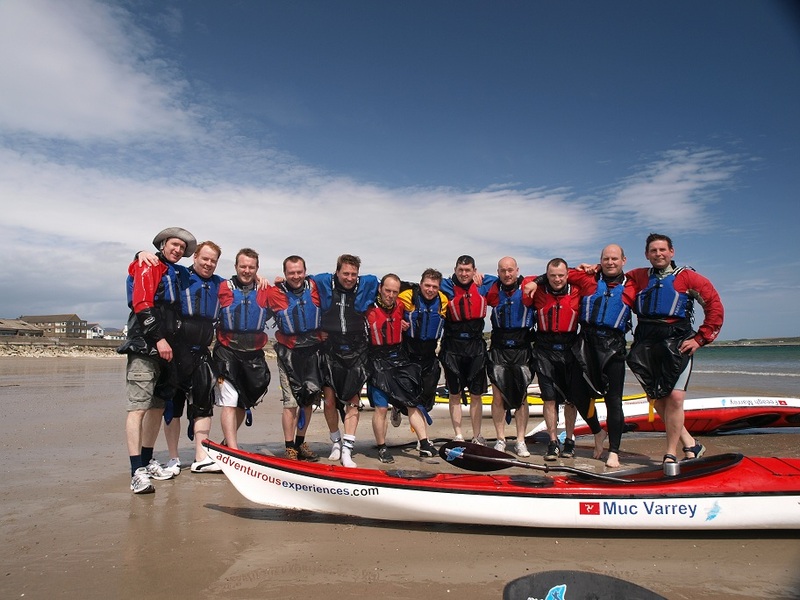 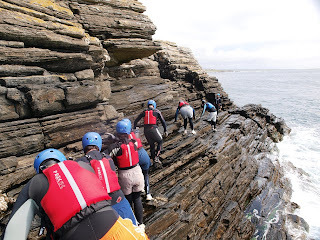 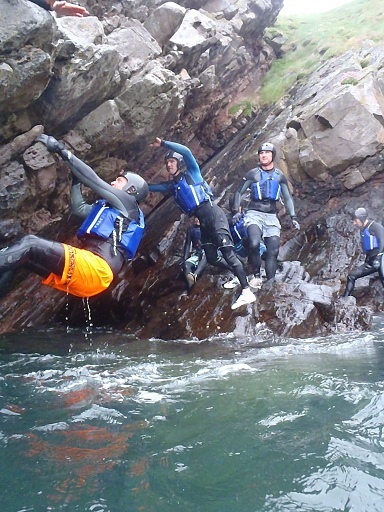 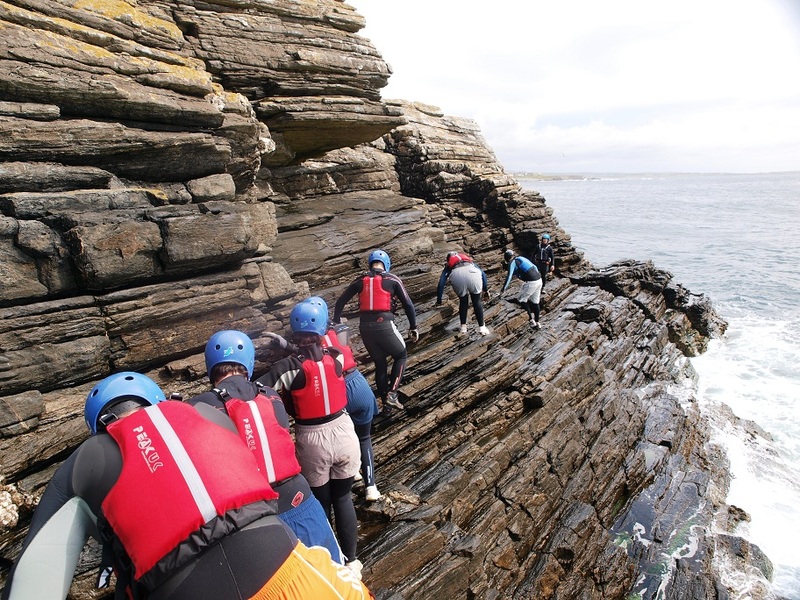 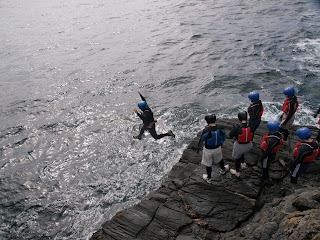 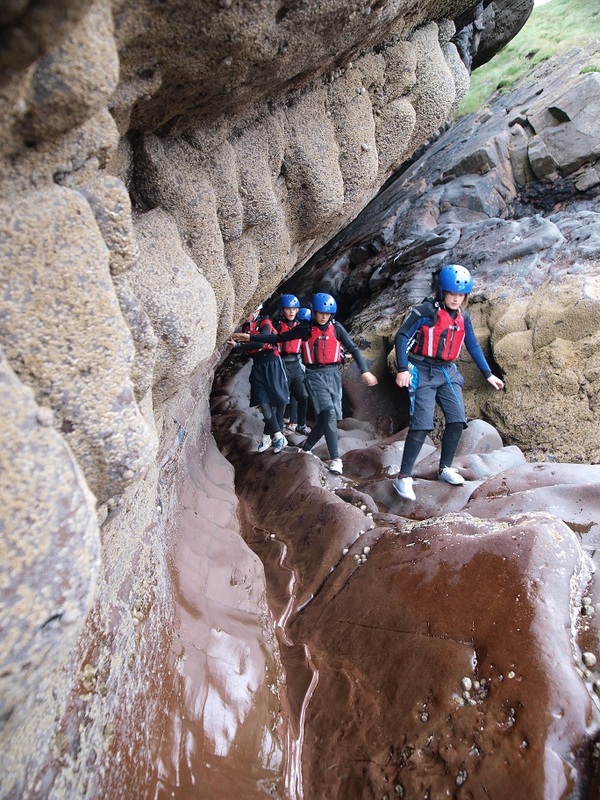 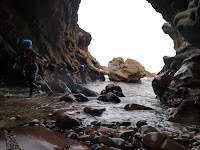 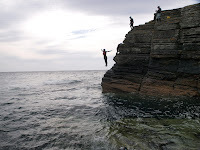 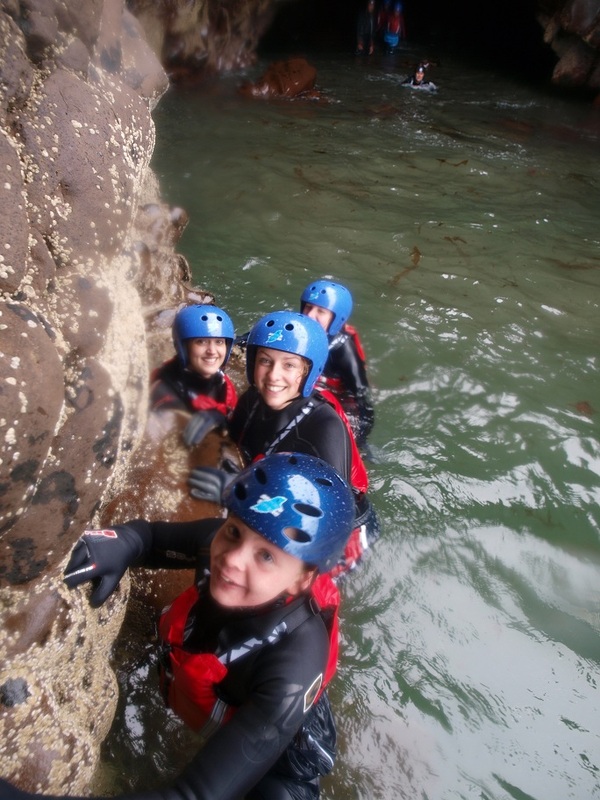 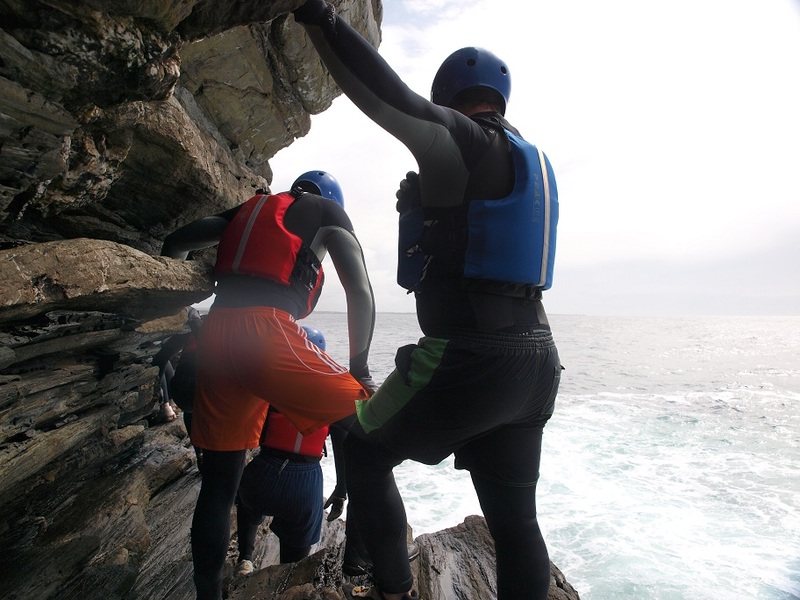 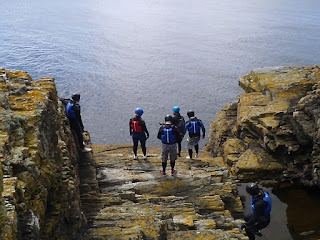 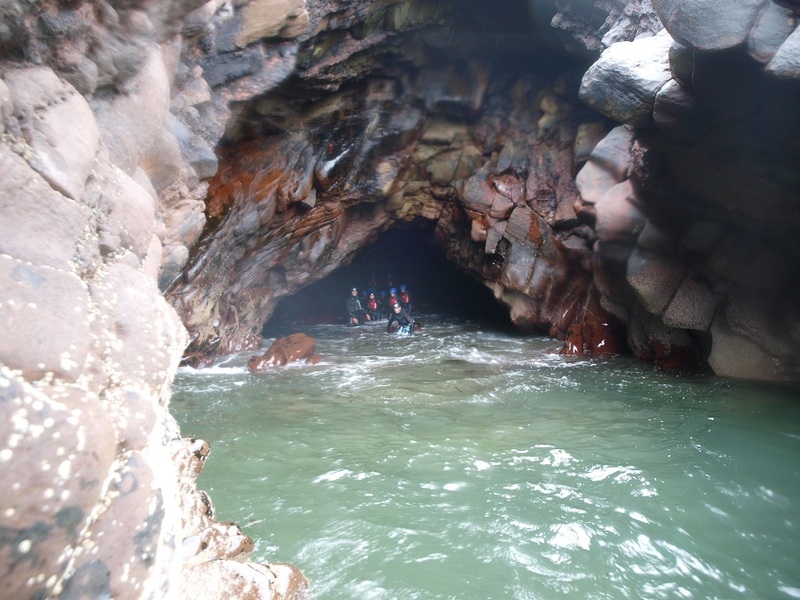 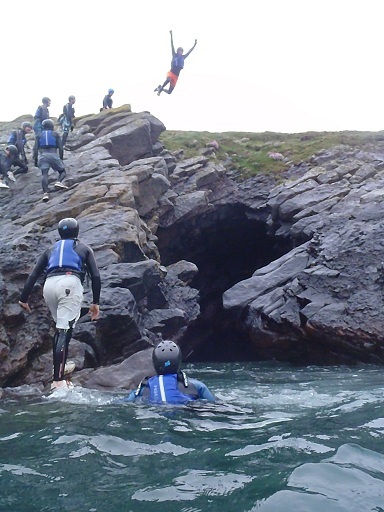 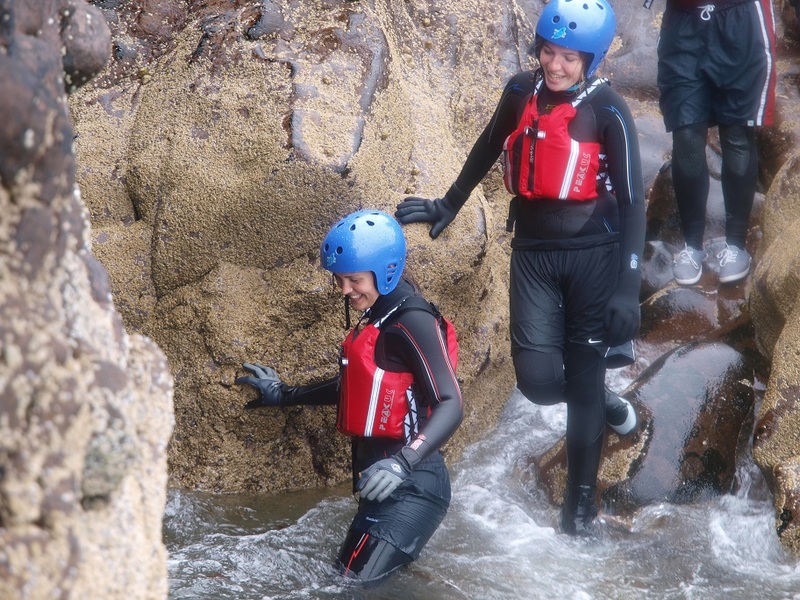 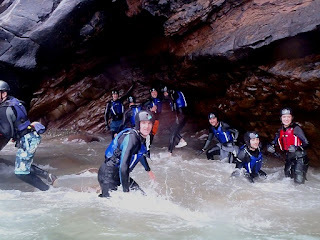 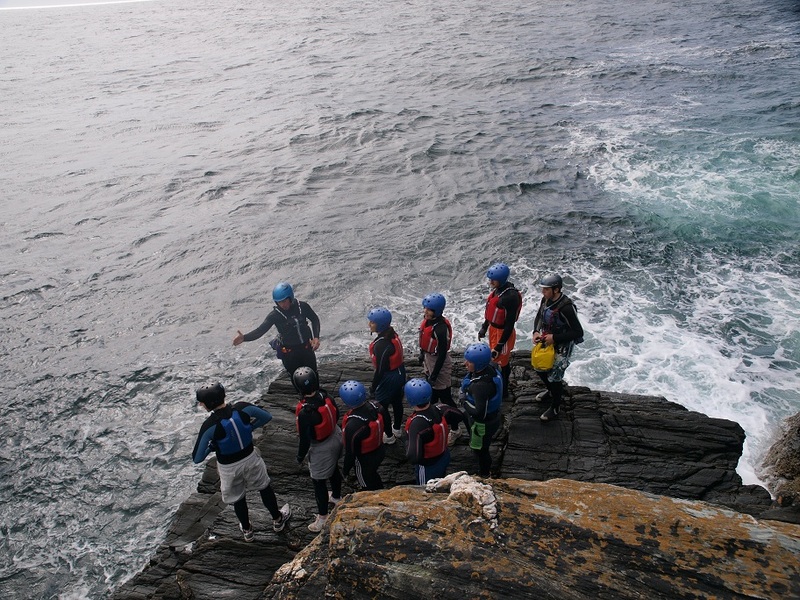 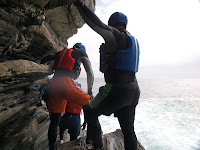 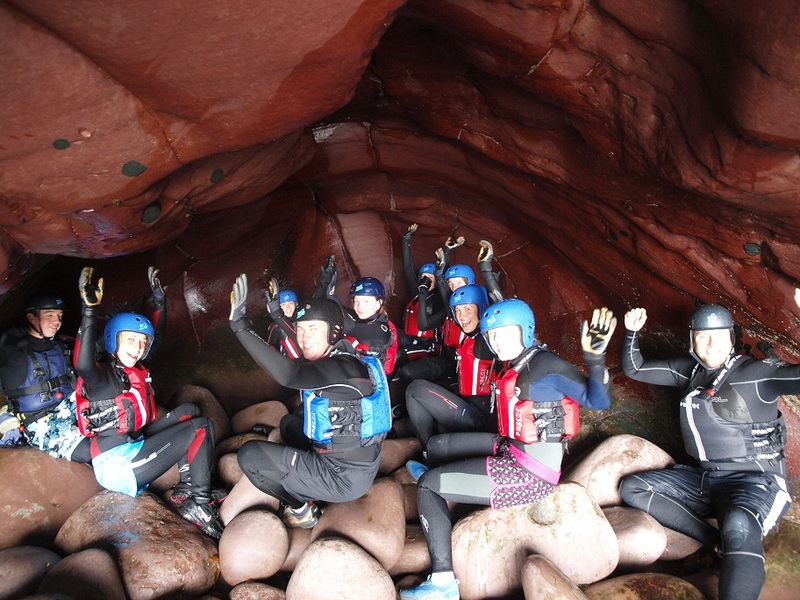 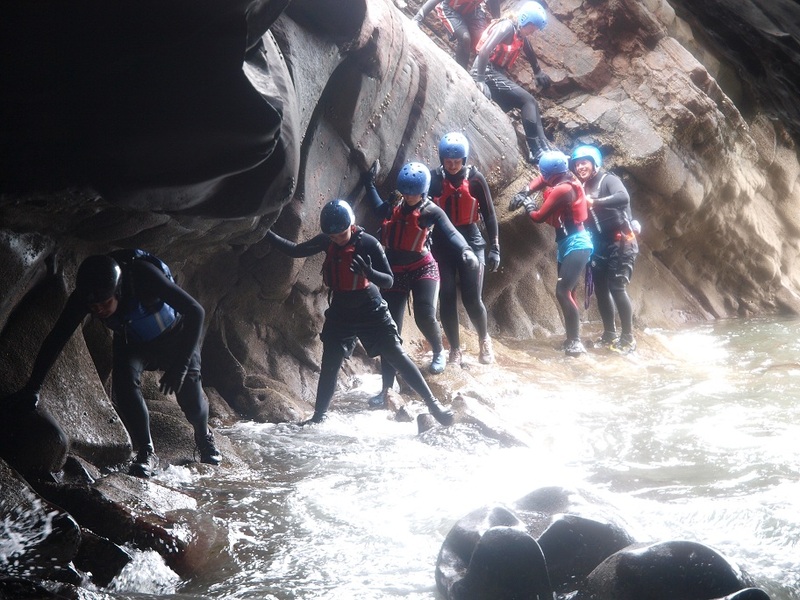 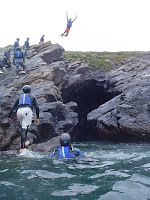 One aspect of the all encompassing adventure of Coasteering, the activity tailored to various ability and fitness levels, from absolute beginner to adrenaline pumping and physically demanding. 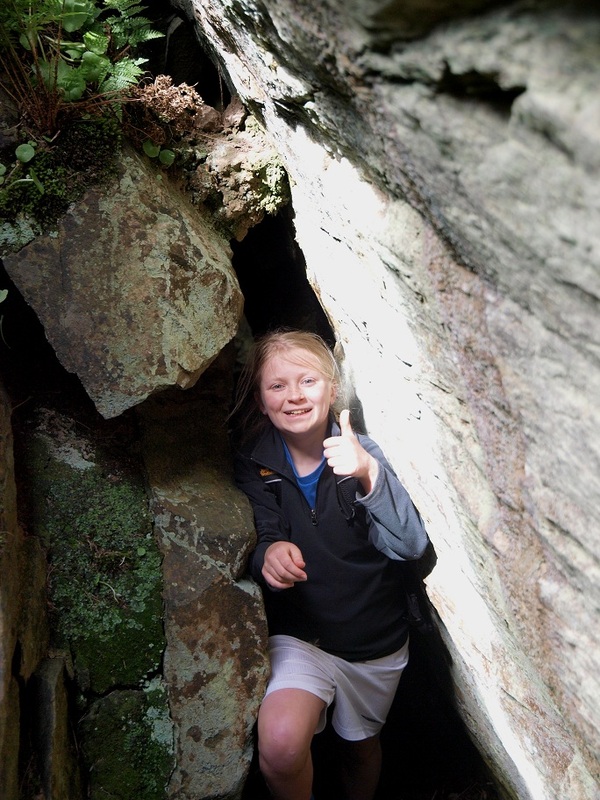 Yesterday's explorations were exceptional fun, and I can't wait to see you all again this summer!